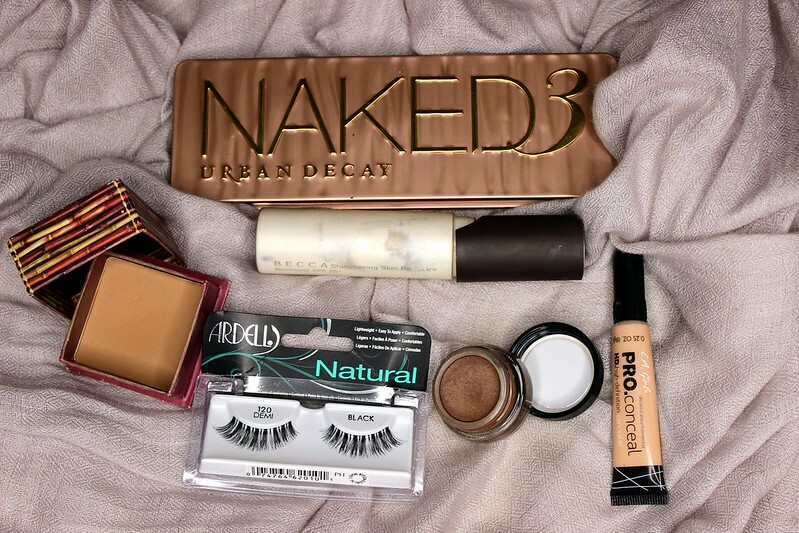 Urban Decay Naked 3 Palette: This palette seriously took me by surprise. I don't know which one I adore more: this one or the original. I've used it multiple times already in this blog and it always produces really great, soft, romantic & pretty results. All the eyeshadows are extremely versatile, creamy and easy to blend. You can view past blog posts where I've used this palette here & here. Becca Shimmering Skin Perfector in Pearl: This is my holy grail highlighter (liquid, cream & powder) and I never want to be without it. I used it a lot especially this month to mix in with my foundation. I've been using it in tandem with my Makeup Forever HD foundation & it just gives flawless results. 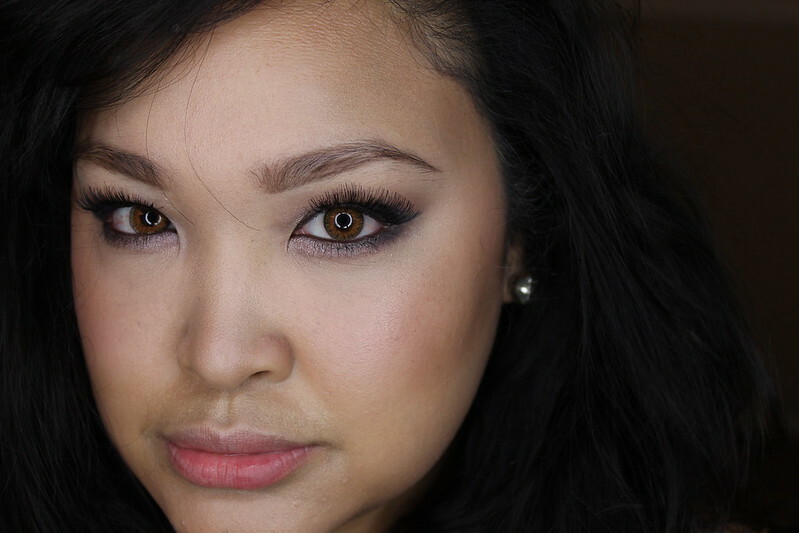 You can see me sing praises here & used in tandem with my MUFE HD foundation here. 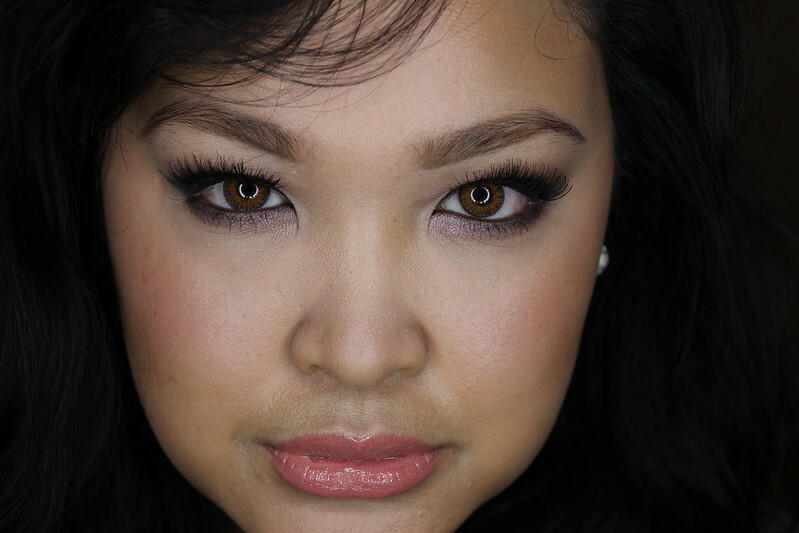 LA Girl Pro Conceal Concealer in Natural: Well, shut me up right now! this has replaced my favorite night time concealer: MAC Prolong Wear Concealer. The consistency is very creamy and sets to a matte finish. I have tried a lot of concealers to find one that doesn't settle into my fine lines and this one definitely doesn't. I think Prolong Wear is still really great but the deciding factor for me comes down to the application. Prolong Wear's pump really ruins it for me while this one has a brush tip applicator and it's very easy to use. Oh, and the best part? It's only $1.99. It's not available in drugstores so you're going to need to order this online. I bought mine at iKateHouse. If you focus really hard on my undereye area you will notice that I have a lot of fine lines. See how smooth it is? This is with no photoshop too. 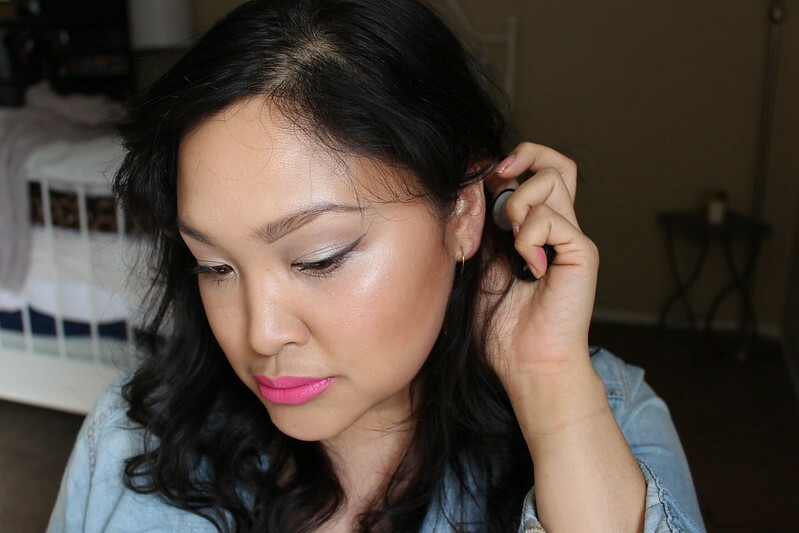 MAC Paint Pot in Quite Natural: I was on a YouTube binge (as I always am) and I came across a YouTuber WhatWouldLizzyDo and she was talking about how she contoured her face according to some tips/tricks that she learned while in a MAC Master Class. She started using this paint pot as a cream contour so after seeing her results I immediately went to the mall and picked this baby up. I'm so impressionable. Those tips and tricks definitely did not disappoint because I started using this as a contour and the results were phenomenal - a little more natural looking and little less oompa loompa. 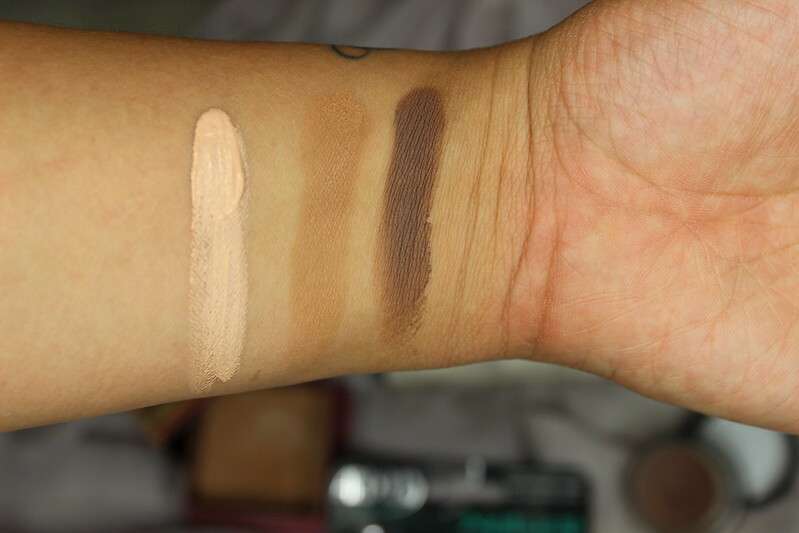 Reason why is because Quite Natural is matte and brown with gray undertones in it. When doing a contour, you always want to put something with grey-ish tones to mimic a shadow. This a contour with Quite Natural Paint Pot underneath Benefit HOOLA. 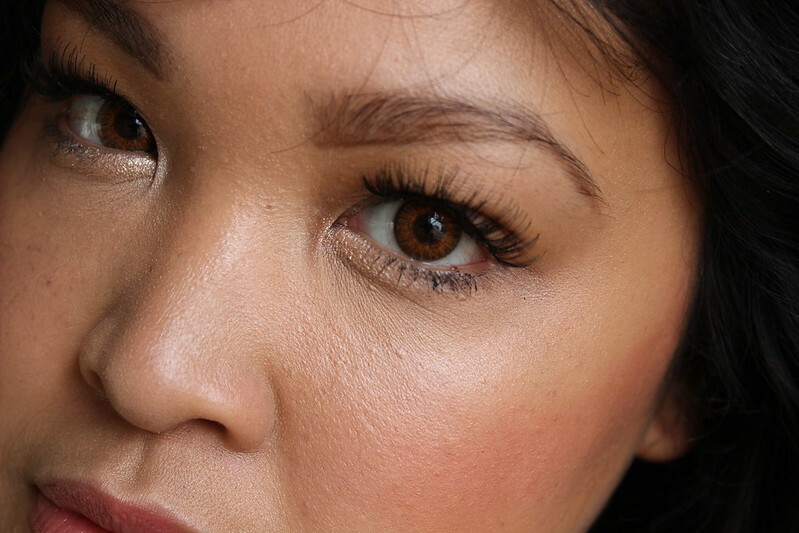 Ardell Lashes in Demi 120: Hands down my most favorite daytime lashes. I only say daytime because I prefer a more dramatic lash at night to give more vavoom, but these are just perfect in every single way. They're not too long for my almond eyes and gives enough length and definition while still looking natural. Benefit HOOLA Bronzer: I usually tether around NARS Laguna & Benefit HOOLA but for february I couldn't put this bronzer down for some reason. It's not too orange or too brown, matte & has a smooth consistency. It never looks patchy on me even though sometimes I opt for no powder on my skin. When I wear a heavier foundation, I like applying this to bring back definition to my face. What are you favorite beauty products in February?